Aside from the super-fun fact that I'll be going to The Colbert show's LIVE show on the opening night of the Democratic Convention (!!!!!!!!!! If you watch, see if you can find me in the audience. LOL) and may witness a Jon Stewart pop up appearance, I have other great news. 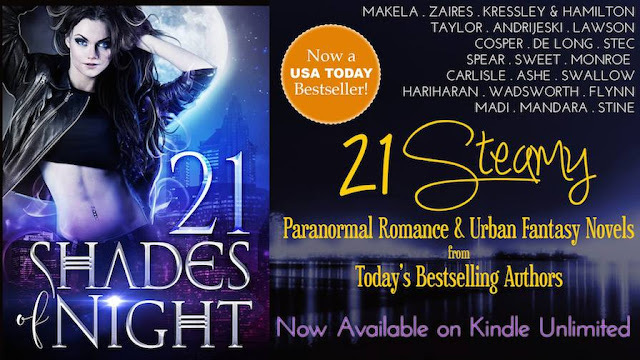 Last week, 21 Shades of Night, a boxed set of 21 paranormal and urban fantasy novels, in which I have my own novel, Witch of the Cards, hit the USA Bestseller list at #70!!! This, after a grueling two months of promo work. But it paid off. I am one proud author, and I'll savor it because I know that the rollercoaster goes up and down, and hopefully back up. Way of a writer. Anyway, it is now in KU. So, for anyone who has that, it is FREE now! 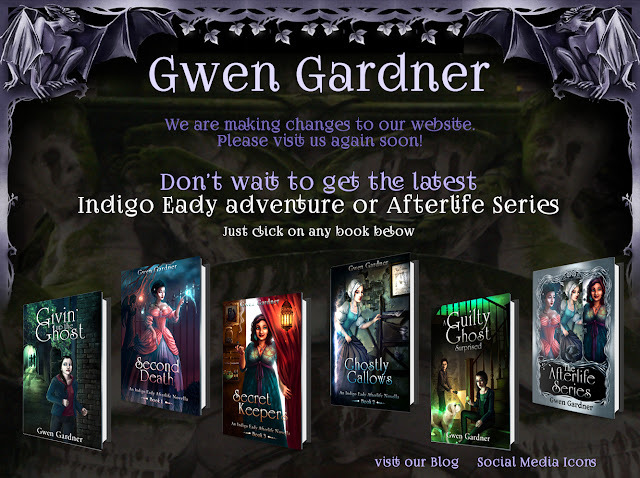 I'm excited to announce that I have a new website under construction. A long time business acquaintance is constructing it for me and I can't wait to see what she comes up with. I have to say that even the temporary landing page is an improvement over the old website! I also now have story bundles available. The latest is the Journeys Collection. Three short stories about young women at the starts of their adult lives. 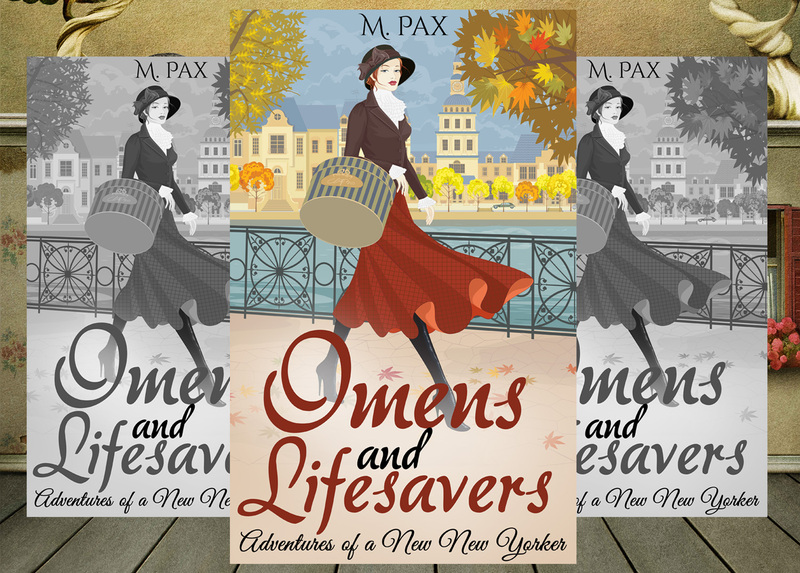 "Omens and Lifesavers" won a contest and is based on real events that happened to me when I first arrived in NYC. They didn't all happen on the same day, a majority of them did, though. Snow at the end of April struck me as ominous enough, but the naked man… Following my friend Nikki’s advice—Don’t ever make eye contact, especially on the subway—I averted my gaze, returning it square onto my book, Cat’s Cradle by Kurt Vonnegut. His pages preached truths through ice-nine and Bokononism. He most likely wrote it in Turtle Bay. The number seven train would take me to Grand Central Station. From there I would walk to Turtle Bay and my first job interview in Manhattan. My stomach flipped. If I can make it here, I can make it anywhere… Did that include dealing with naked men? He held a newspaper, reading it, not covering himself. If Nikki sat beside me, she’d never notice. Not noticing such things distinguished real New Yorkers from tourists. I wanted to be a real New Yorker. A huge congratulations to Catherine Stine! And Gwen's new site is fabulous, make sure you hop over to see it. Also, Mary's Journey's Collection sounds and looks amazing!!! My news isn't as grandiose. I've just signed a contract for my forthcoming book. which is set in 1969. It's a YA read, but I'm positive it'll appeal to people who've experienced that time in history when the Vietnam War was a tinderbox of contention. This isn't the cover, just a promo picture. Mary, a naïve sixteen-year-old is wary when her brother offers her a solution to growing up in the form of a little pill. The nerdy, honor roll student decides it’s time to fly, and shortly the rumba going on in her brain should’ve been a forewarning. 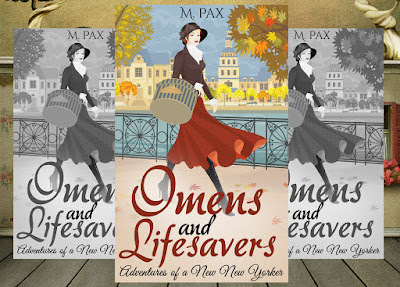 Mary suddenly plunges into popularity and meets the new hot boy, Michael Covington. He’s not flawless, mysterious healing wounds cover his face. The scars hardly detract from his looks, only gives him a dangerous appeal. She never imagined herself sneaking out of the house after midnight to an underground fight club and is embroiled in an event that has Michael beaten to a pulp. And his affinity for groundless danger escalates with Mary clinging to him on his motorcycle. In her delirium, instead of heart pounding panic, her pulse spikes with incongruous bliss. During a rock n’ roll party, a buzzed Mary is blindsided in a dark bedroom. On Monday the gym teacher notices her bruises and is on the proverbial warpath to accuse Michael of a crime. When Mary is summoned to the Principal’s Office she learns Michael has a history, and there’s much more to him than she ever imagined. New experiences and new friends, Mary crosses the threshold of adolescence with a bang. Will her sensible side triumph and bring her down to Earth? I recently released my historical fantasy Witch of the Cards. For fun, I've compiled some fun factoids about witches! Before people had hospitals and surgeons to fix people, they had midwives and herbalists. When babies or moms died in childbirth, or the herbal fix was insufficient to cure what we would now know was a fatal disease, who do you think was blamed? The same women who delivered babies and gave expert herbal remedies! 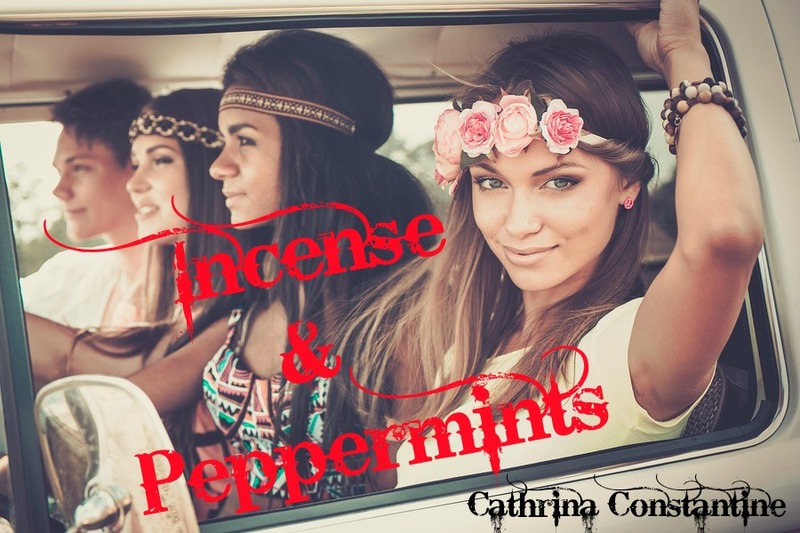 In a fearful world, they were labeled as witches, or agents of the devil. Bruno Bettelheim was a famous psychiatrist who worked with troubled children and believed fully in the power of myth and fairytales, which include witch stories! In his words: "...the imagery of fairy tales helps children better than anything else in their most difficult and yet most important and satisfying task: achieving a more mature consciousness to civilize the chaotic pressures of their unconscious." Fairytales are spiritual explorations. In the fairy tale we see life divined from the inside. Ironically, in ancient Rome even though women were housebound with zero political power, the most revered, influential people were the high priestesses presiding over the oracles, such as the one at Delphi. These women were said to be able to predict the future, wield supernatural powers and have innate knowledge of the divine realms. Greek citizens would go on pilgrimages to seek out their womanly wisdom. Now, that’s what I call some bad@ss white witches! 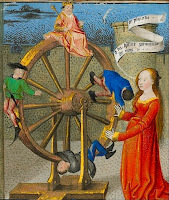 In Chaucer’s and Boccaccio’s European middle ages (mid 1300s) people were expected to be devout in their Christianity. Many believed literally in the devil and the power of witches. Interestingly, as devout as they were to the going religion, they also prayed to the sprites and night nymphs of their recently dropped Pagan beliefs. 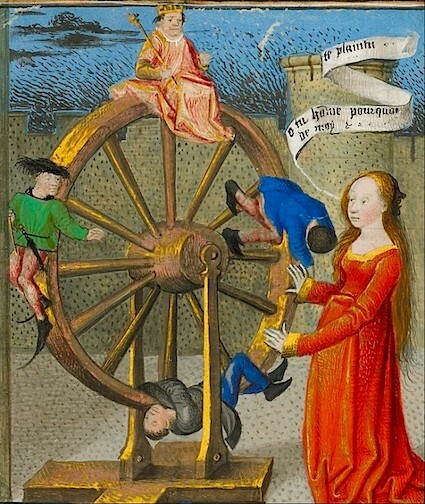 They also believed in Fortuna, or the wheel of Fortune—that fortunes rose and fell by the whirl of a wheel, often portrayed by a beautiful woman, Fortuna. How’s that for supernatural female power! 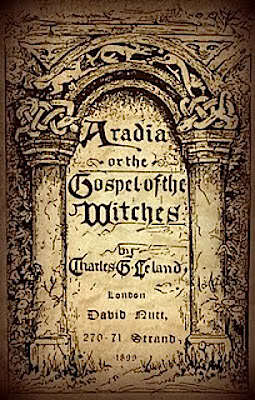 book called Aradia or Gospel of the Witches. This Aradia goddess, the incarnation of Diana/Artemis was going to bring magic to the Victorians and hopefully free women from the oppression of the times. 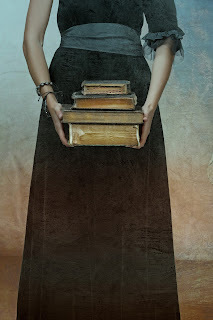 Beautiful book cover, right? Tamsin Blight 1798-1856 was a famous English witch healer, able to remove curses or spells from a person. 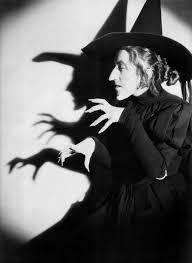 She was also said to have put spells on those who displeased her. She was also known as Tammy Blee and Tamson. In the 1920s and 30s there was a craze for psychics, card readers, and mediums who claimed they could communicate with people’s dead relatives. 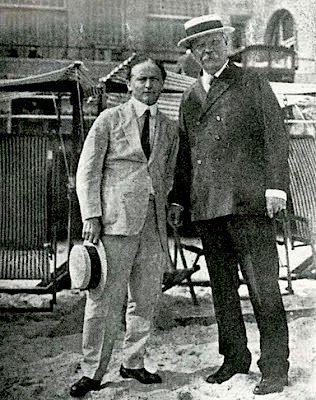 Harry Houdini, the famous magician, ironically made it his life’s work to try and debunk these folks. 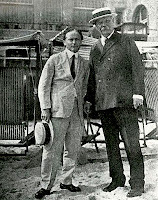 Arthur Conan Doyle, who wrote the Sherlock Holmes series was a huge believer in the supernatural. He went head to head in heated debates with Houdini. I found this fascinating, and I wove this into Witch of the Cards, where Fiera, a talented seer meets up with a skeptic. But in my novel, he becomes a believer. LOL. The Tarot fascinates me. I collect cards for their variety, beauty and amazing images. They are thought to have originated all the way back in ancient Egypt, as a cosmic source of wisdom and divination of the future. 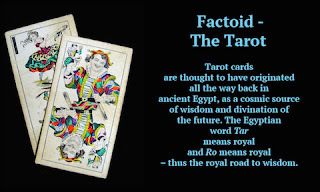 The Egyptian word tar means royal and ro means royal – thus the royal road to wisdom. Later, in northern Italy, a complete deck for card playing and gambling was devised. In France in the 1700s, a “cartomancer” named Jean Baptiste-Alliette created the imagery in the decks we often see today. There are cups, swords, wands, and pentacles. And the Major Arcana cards that hold great symbolism, such as the hermit, the world and the death card (which can also mean rebirth!). In my novel, Witch of the Cards Peter Dune has a Tarot and Séance shop on the boardwalk, where he holds readings and séances. In walks Fiera, who not only has a mysterious and electric connection to Peter, she can do more outrageous and unexpected things with the Tarot than simply reading them! I won’t give away the surprise here. She’s also a sea witch so her supernatural powers are twofold. Do you know how to read the Tarot? What’s your favorite card? Two new nonfiction books on witches launched recently. 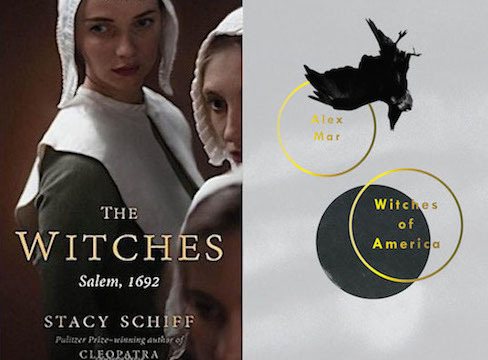 Amber Mar’s Witches of America and Stacey Schiff’s The Witches: Salem 1692. I am reading both on my kindle. Makes sense to me. Does it to you? Sarah Piper's lonely, threadbare existence changes when her temporary agency sends her to assist a ghost hunter. Alistair Gellis-rich, handsome, scarred by World War I, and obsessed with ghosts- has been summoned to investigate the spirit of nineteen-year-old maid Maddy Clare, who is haunting the barn where she committed suicide. Since Maddy hated men in life, it is Sarah's task to confront her in death. Soon Sarah is caught up in a deperate struggle. For Maddy's ghost is real, she's angry, and she has powers that defy all reason. Can Sarah and Alistair's assistant, the rough, unsettling Matthew Ryder, discover who Maddy was, where she came from, and what is driving her desire for vengeance—before she destroys them all? The Haunting of Maddy Clare by Simone St. James is a fascinating ghost story combined with a compelling mystery. The ghost of Maddy doesn't simply go bump in the night. She throws things, destroys, and most frightening of all, possesses the minds of the living. Maddy arrived at the Clare house seven years earlier. She was bruised, covered in mud, and wearing nothing but her underclothes. She was also unable to speak. All attempts to discover where she came from were met with silence. No one from neighboring houses or villages reported a missing twelve-year-old girl. The Clares gave the troubled girl work as a maid and she lived with them until her suicide. Maddy's ghost communicates with Sarah and demands that Sarah find her grave. This makes no sense to the ghost-hunters because Maddy is buried in a marked grave in the church cemetery. As the mystery of Maddy's past unravels, a shocking and horrific crime comes to light and a ghost seeks revenge. Set in rural England in the early 1920s, the ghosts of World War I haunt the characters almost as much as Maddy's ghost. St. James tells the story from Sarah's perspective and the novel feels similar to the Bess Crawford mysteries. Sarah and Matthew develop a romantic relationship, which becomes graphic at times, but the romance does not get in the way of the very compelling ghost story. The novel's pacing is good although I think the characters are a bit slow to figure out Maddy's story once they uncover the major clues. 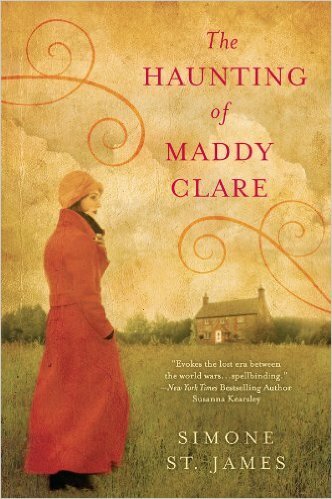 If you like ghost stories and you like historical fiction set in the World War I era, you should give The Haunting of Maddy Clare a read. It's important for authors to read books on the craft and marketing and how to stay sane, or at least making it look like you're sane so they don't take away your computer, pens, and paper. Sometimes we'll come across a book that will simultaneously light a bonfire of inspiration and make us bang our heads on the desk for doing it all wrong. Books like this are priceless. Sure, they might momentarily derail us from our goal of appearing sane, but this wicked tug-of-war with your writer's soul is a great teaching moment. 1) There is no one right way for everyone. This is vital to remember. I'm sure you've heard every writer's journey is different. Prepare yourself, because no matter how frustrating it might be, it's true. Pantser or plotter? Whatever works best for you, or rather, for your muse. Twitter or Facebook? Hey, maybe you don't need either one. There is no magic formula for success. You just have to try everything. 2) Everything? Okay, you don't have to do it all, but it helps to try new things. This is why you must know your personal limits. What are you willing to write? Some folks won't venture into R-rated works or write stories about horses, and most people will refuse to combine the two. How much time and money can you devote to marketing? A lot of us have no money to spare. Bills must be paid. So when someone declares book ads are the only way to go, you find a different way that works for you. 3) Let the book inspire you. Get excited, talk about it, and let it propel you forward to being a better writer. Even if you don't learn anything new from the author, you still can be roused to greater heights, and that in itself is valuable. 4) Let the book open your eyes to where you're going wrong. Sometimes we can be stubborn about things. We don't want to change. This could be what's holding you back. It might send you into a wailing fit or make you want to throw your manuscript into the mouth of the Kraken, but don't do it. You can save yourself by trying something new. It might be scary and/or difficult, and it might not even work, but breaking away from stale old habits will help in the long run. We need these books to keep learning and improving. A good writer is forever bettering herself. Even if you only find one or two nuggets of information in a book that will help you, it is one or two pieces of knowledge you didn't have before. Keep reading and you'll find more. Eventually you'll have all the components for your own magic formula. What books on writing and marketing have inspired you lately? Huge 99c Sale on Sci-fi and Fantasy this weekend! 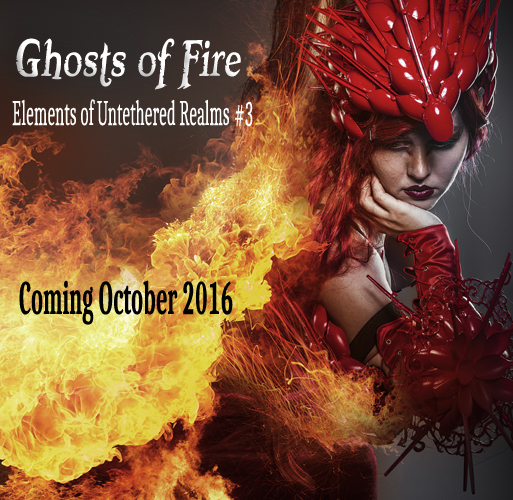 This awesome sale includes the Untethered Realms' collection, Fantasy Uprising.